CORD provides FREE technical support on most major retail brands of ATMs. Our ATM technicians are certified and qualified to support all your technical needs. Whether it is troubleshooting, software downloads or assisting you with installs — we will gladly share our knowledge and experience with you! 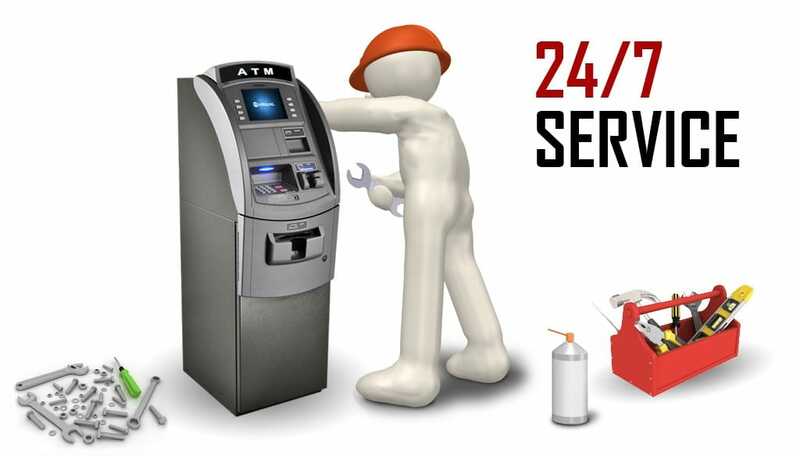 In addition, CORD’s national network of ATM maintenance technicians are trained to provide personal, nationwide customer care 24 hours a day, 365 days a year. We have extensive knowledge to assist our customers with diagnosing and fixing the issues at hand to help maximize your up time. Call us at 877.256.0947 (Option 2), email service@CORDfinancial.com or fill out the form below. CORD understands that whether it’s replenishing cash, clearing paper jams, fixing broken parts or upgrading hardware and software, ATMs need constant attention. Not having to deal with day-to-day machine issues allows you to focus on your core business, enhancing service to customers, and lowering costs associated with ATM maintenance. Let CORD focus on achieving peak levels of performance for you, so you can pursue peak levels of customer satisfaction. Individual part repairs can be costly overtime. Stop paying for unexpected issues, insure your ATM machine parts and receive free part repairs and service calls with our monthly maintenance agreement. Contact CORD to begin an Extended Repair Service Agreement at 877.256.0947, Option 4.